With Christmas just a little over a week away it's time to start planning that holiday menu - if you haven't already that is. 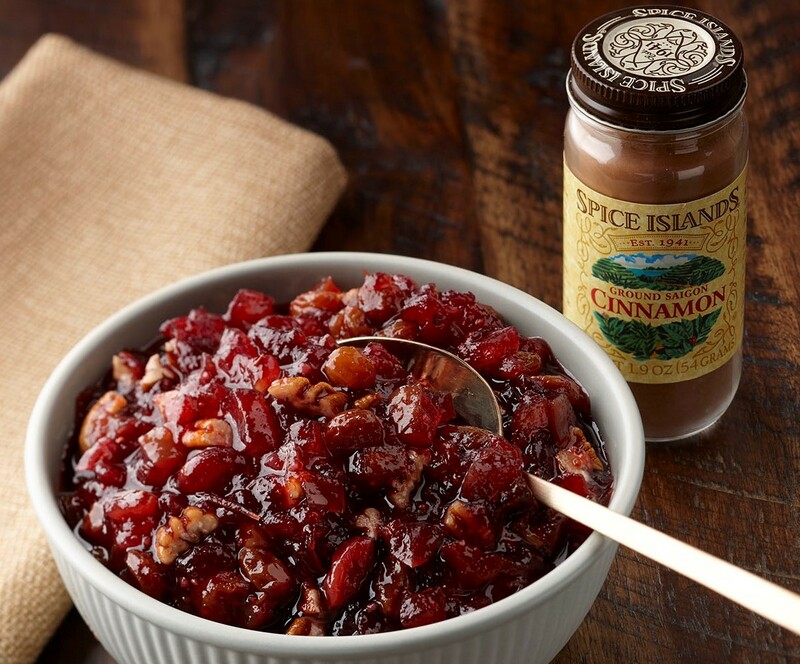 And what better way to do it then with some of the most commonly used holiday spices. I choose Spice Islands spices because I know they are high quality and will give my foods the best flavor. Whether this holiday marks your culinary debut or you’re a seasoned chef looking for a fresh take on some seasonal favorites, you can take some notes from the pros. Every good chef has an arsenal of tricks and techniques to create amazing dishes every time, and the perfect blend of spices is one of those winning secrets. In a properly seasoned dish, the spice accents the natural flavors without overpowering them. That’s why it’s a good idea to build your menu around spices and herbs of the highest quality, such as Spice Islands®, which crafts and packages the best spices and herbs from around the world to deliver the most authentic and intense flavor possible. In small bowl, combine rosemary, thyme, onion powder, garlic powder and cinnamon. Generously add pepper and salt. Lightly coat turkey with oil, if desired. Rub all surfaces of turkey with seasoning. Roast according to package directions. In large saucepan, combine cranberries, water, apples, sugar, onion, raisins, ginger, garlic, salt, allspice, cinnamon and cloves. Bring to boil over medium-high heat. Reduce heat; cover, stirring occasionally, 15 minutes. Add corn syrup, vinegar and pecans. Cook uncovered 15 minutes, stirring frequently. Serve with roast turkey, pork roast or baked ham. Heat oven to 325 F. Line muffin tin with paper baking cups. Place 1 cookie in each cup. With electric mixer, beat cream cheese, sugar, corn starch and pumpkin pie spice. Add eggs and mix well. 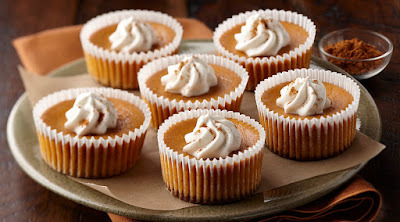 Add pumpkin and corn syrup; beat 1 minute. Pour filling into liners, dividing evenly. Bake 30-35 minutes until just set. Chill 1 hour.